FIFA's Dispute Resolution Chamber ordered Zamalek to pay 1. 2 million euros to their former Ghanaian striker Junior Agogo, the club said on Tuesday. The cash-strapped Zamalek received a letter from world governing body FIFA on Tuesday informing them of the hefty fine. "Zamalek will take the matter to the Court of Arbitration for Sport to appeal the sanction," the club said in a brief statement on their official website. 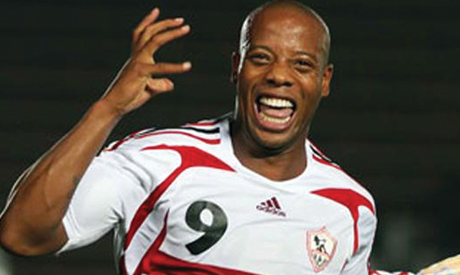 The White Knights signed Agogo from English side Nottingham forest in the summer of 2008 for 750,000 sterling pounds. He was set to receive 1.5 million euros during the duration of his three-year contract. However, he terminated his contract with Zamalek several months later after the club failed to fulfill their obligations towards him. The Ghanaian striker lodged a complaint with FIFA, demanding compensation for his unpaid dues. The fine will mount Zamalek 's financial woes as they are already struggling to stay afloat.